Jeremy Corbyn wants to say a few things about “Harry and his brother”. 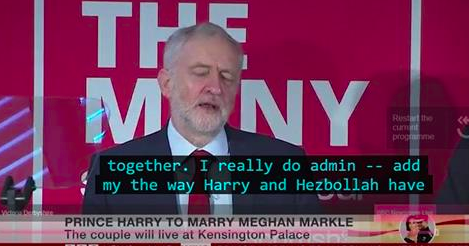 Or as the BBC’s subtitler puts it: “Harry and Hezbollah.” A typo or is ‘Hezbollah’ the new nickname for Meghan Markle? Bit harsh.